Igor Sikorsky revolutionized aeronautics and contributed to the appearance of the global travel industry. He was a dreamer, who made his fantasy come true. Born under the Russian Empire in 1889, Sikorsky was the son of a doctor and professor. They helped foster his knack for blending practicality with luxury. His first invention was the multi-engine airplane, never before considered a possibility. “The Grand” was furnished with a spacious interior which gained it the imperial seal of approval from Tsar Nicholas II himself. Both The Grand and its follow up, “Ilya Mourometz”, turned Sikorsky into a national hero. Upon moving to the U.S. in 1919, Sikorsky brought with him his dazzling ideas, building some of the largest airliners to cross the oceans. This revolutionized the aviation world from a spectacle into a money-making travel industry. “Sikorsky is one of the most remarkable pioneers in aeronautics-in the U.S. and the whole world. He had this indefinable genius, not only for what would work in a technical sense, but he also understood what was going to work in a sense of being practical, of what would be accepted by the public and the government. He knew what technologies were really going to take hold,” says Roger Connor, curator at the Washington-based National Air and Space Museum. But the helicopter was Sikorsky’s life-long calling – at the time considered by many a fantasy that would never fly. By inventing the double-bladed vertical rotor, the dream came to fruition in 1940. 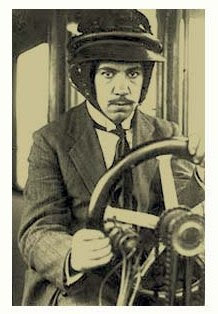 Risking his life to test the machine, Sikorsky put himself behind the wheel and survived multiple crashes thanks to a lucky top hat. The rest has become history. “Sikorsky really was able to get out there and push the idea that the helicopter was something new, something different, something that you had to have. Whether you were in the military or in the commercial field, he was able to bring this idea about that having a helicopter was going to be something that would change the world,” Roger Connor explains the secret of Sikorsky’s success. Of course, the average Joe cannot afford the luxury every U.S. president since Eisenhower has had: the privilege of a personal helicopter. Through military contracts, it has become an indispensable tool. Sikorsky’s XR-4 was the first helicopter used by the U.S. military. But perhaps more important was its use for medical evacuations – starting a long legacy for the helicopter as a mode of rescue. Tragedies like Hurricane Katrina are prime examples that the helicopter remains a recovery device around the world. Sikorsky was very interested in the humanitarian aspects of the helicopter, and always very proud that it saved more lives than it took. He wanted to leave things that would make the world a better place.